Undergraduate students at the University of Arizona are welcome to apply for a position in the lab. We offer a competitive, 1-year placement (which involves 2 semesters of independent study). 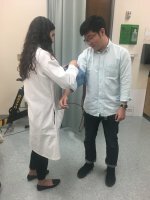 Students from the Psychology and Neuroscience programs are welcome to apply, as well as students in other disciplines, with the approval of your advisor. During this placement, you will assist with data collection and processing. You will also put together a major project over the course of the year. In the Fall semester, this will include choosing a topic, generating a brief literature review paper, and assisting in the preparation of a research abstract. This abstract will be submitted for a scientific conference and will be published, with you as first author. In the Spring semester, you will generate a full research paper, using your literature review as the basis for the Introduction and your research abstract as the basis for the Methods and Results sections. The goal is to have a paper ready to submit for publication, with you as first author. In addition, you will put together a presentation (poster or talk, based on the status of your abstract) that you will present to the group. The goal will be for you to present this at a local and national/international scientific conference (with you as lead presenter). At the end of this 1-year placement, you should have gotten quite a bit of research experience, as well as experience generating an original idea, testing it, and writing up the results. You should have a first-authored published abstract, a first-authored paper ready for submission, and a conference presentation under your belt. Other activities will include mentored journal article reviews and other opportunities to help build your CV for graduate school or medical school. This is a much more intensive placement than most undergraduate research programs, but you should have, at the end of the year, a much better grasp on academic research. To see examples of previous work by undergraduate students, see a list of past student projects. To apply for a position, contact the program manager. 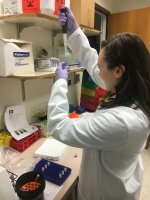 Graduate students in our lab will have access to a wide variety of experiences and training opportunities. Are you interested in joining our program as a graduate student? Contact Dr. Grandner directly for more information. 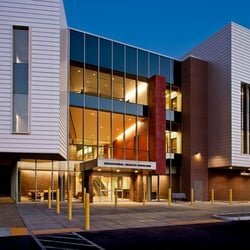 Clinical externships for University of Arizona Clinical Psychology graduate students are available in the Behavioral Sleep Medicine Clinic. This externship will develop graduate students’ experience in Behavioral Sleep Medicine. This involves the diagnosis and treatment of sleep disorders using non-pharmacologic techniques. This will include Cognitive Behavioral Treatment for Insomnia, as well as other treatments for adult insomnia (such as Sleep Compression), treatments for circadian rhythm sleep disorders (including phototherapy and chronotherapy), treatment adherence in sleep apnea, and treatment approaches for other sleep disorders including narcolepsy, restless legs syndrome, periodic limb movement disorders, etc. 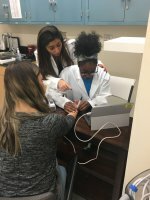 Students will learn how to recognize, screen for, diagnose, and treat these sleep disorders without the use of medications. This will include administration and scoring of assessment instruments, clinical interviews, case conceptualization, consideration of other medical and psychiatric conditions, and report writing. Approximately 5 hours each week in direct patient contact (clinical interview, assessment, follow-up sessions). This will include some sessions that ill be led by a supervising clinician where you will observe and participate, sessions led by you where a supervising clinician will observe and participate, and sessions led by yu which will be recorded for supervision later. Contact Dr. Grandner directly for more information. Preparations are underway for developing opportunities for predoctoral Clinical Psychology interns. (6) Approximately 3 hours each week protected time for a supervised research project. Postdoctoral research fellowship opportunities may be available. These are dependent on fluctuating funding in the lab. Opportunities for clinical training in Behavioral Sleep Medicine are coming soon. Stay tuned! 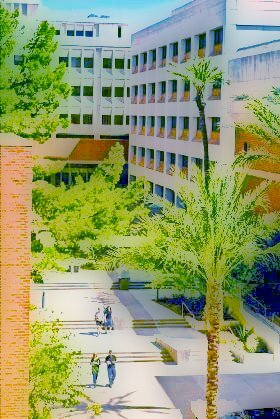 Psychiatry residents at the University of Arizona have several opportunities for rotating with our group. We currently offer a 4th-year residency elective in CBTI. This includes a minimum of one half-day clinic per week, for a minimum of 10 weeks and up to 1 year of training that includes didactic sessions, readings, clinical observations, and taking on your own supervised cases. (5) Approximately 1 hour each week completing reading assignments and discussing them. 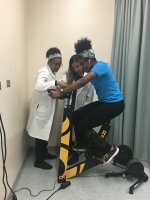 In addition, residents interested in sports psychiatry can take a 4th-year elective on this topic. This rotation is directed by Dr. John Misiaszek, in collaboration with Dr. Grandner. An insomnia treatment program is integral to any ACGME Sleep fellowship. With this in mind, the Behavioral Sleep Medicine Clinic is integrated into the Sleep Medicine fellowship directed by Dr. Sairam Parthasarathy in the Department of Medicine. For more information, contact that program.